There is a new book published by St. Anthony’s Greek Orthodox Monastery on the departure of the soul that I wish to draw your attention to. It is called The Departure of the Soul: According to the Teaching of the Orthodox Church. This book not only contains numerous citations of Scripture, liturgical services, Patristic writings, and lives of the saints but also includes photos of many beautiful icons from monasteries and manuscripts depicting, in colour, the great mystery of death. My personal favourite is the chapter which contains about 140 pages of excerpts from the lives of the saints, many of whom are Irish. This book is a reference edition that aids the reader in locating important sources of information on the departure of the soul at death. It will not, necessarily, be read from cover to cover but contains a treasury of wisdom that will doubtlessly help both pastor and layman obtain insights into the final moments every person born into the world will have to endure. The publisher has put together a website which offers excerpts, numerous endorsements, and images of icons depicting the aerial toll-houses. You can visit the website here. We thank the brotherhood of St. Anthony’s Monastery for undertaking such a great and lengthy work. May this book help us “pray to our Lord,” as Abbott Paisios writes in the Prolegomea, “that His infinite mercy may prevail at that inevitable hour, and that we may also be receptive of this great mercy.” Amen, so be it! Below is a very gracious review of The Sweetness of Grace by Matushka Anna Crawford. I thank her for taking the time to write down her thoughts on my new book. “More than the sum of its parts,” was a phrase that came to mind when I finished The Sweetness of Grace: stories of Christian trial and victory by Matushka Constantina Palmer. However, that phrase doesn’t quite convey what I want it to. You see, it isn’t the sum of the parts that makes this book what it is, because each story carries within it the whole: the grace of Orthodoxy as lived by faithful Orthodox Christians. Mat. Constantina admits in the introduction that it is her skills as a storyteller, not her masters degree in theology, which bring these stories to life, but I must disagree slightly. Matushka is an exceptional storyteller, but she also has the intimate knowledge of the Holy Fathers and their writings which provides the lens through which the light of the stories shine. Much like my spiritual father who has a (to me) phenomenal and encyclopedic ability to pull out exactly the right anecdote from an elder’s life, a quotation from a saint, verse from holy scripture, or story from the Prologue, Matushka roots every story solidly in the Church’s Tradition. This in turn brings a deeper understanding of the scripture or precept. All of this might make the book sound too exalted to read! Do not be deceived on this front; just like Matushka Constantina’s first book, The Scent of Holiness, this one is extremely approachable, easy to read, and enjoyable. I read the first third in one sitting because I couldn’t put it down. After all, it is a collection of stories. The Lord himself taught us in parables, or stories, as the best way to capture our attention and instruct us. There is nothing insignificant about the humble story. I recommend this book very highly. You will likely read it as I did, in huge gulps, but then you will return again and again to savor individual stories. 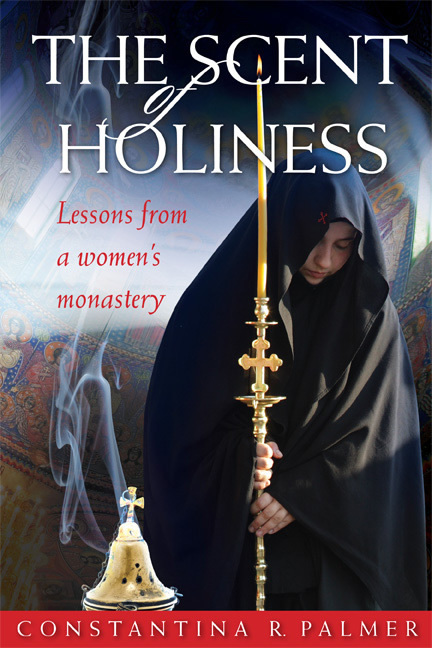 Both The Sweetness of Grace and The Scent of Holiness [review here] should be in every Orthodox Christian’s library. Thank you, Matushka, for your labors in collecting and sharing these stories with us. The Sweetness of Grace: stories of Christian trial and victory is available from Ancient Faith Publishing. I received a free copy in return for my unbiased review. The Scent of Holiness Sequel? From the author of The Scent of Holiness. The Sweetness of Grace is a collection of stories derived from conversations with Orthodox nuns, monks, and laypeople, along with experiences of Orthodox life in South Korea, Greece, and North America. Those who enjoyed Everyday Saints will enjoy these similar stories from other parts of the Orthodox world. While The Sweetness of Grace is not exactly a sequel, a number of the themes and a few people I wrote about in The Scent of Holiness make appearances in this new book. It can be read independently, however, and does not have a women’s monastery as its primary setting. It is more board in scope. Written in a similar style to The Scent of Holiness, it is a collection of stories – composed of vignettes – about Christian trial and victory. It tells stories of monastics and laypeople alike, my experiences of Orthodoxy while teaching English in South Korea, living and studying theology in Greece, as well as a few stories from life here in North America. There is no definitive publication date as of yet, but I will certainly keep you posted. Share the word! A beautiful fountain in the courtyard of the Holy Monastery of St. Theodora in Thessaloniki, Greece. Below is a translation I have done – through Gerontissa Macrina’s prayers – concerning the great rewards God has prepared for those who practice patience when confronted with great trials and temptations, and the spiritual exhalation the soul experiences (in this life or in the next) when we abstain from passing judgement, even on those who openly hate and harm us. The passage is from Λόγια Καρδίας (pp. 246-250), a collection of homilies by Abbess Macrina of the Holy Monastery of Panagia Odigitria in Volos, Greece. At this time the book is only available in the Greek language; I hope it will be available in multiple languages in the near future. I read it and my soul soars, such is the power of this holy abbess’ divinely-inspired words. She is a saint like the saints of old: wise in spiritual matters, reverent in every regard and virtuous beyond compare! Words cannot express the effect she has on me, a stranger. And yet reading her words makes me feel as though I am sitting at her feet, learning from her firsthand the art of Christian spiritual struggle. Although I am just an unworthy, self-proclaimed “disciple” of this holy abbess, I laboured to share with you one of the most spiritually potent passages I have yet come across in her book. May we have her prayers and her blessing! Let’s be watchful concerning the matter of passing judgment. Let’s be very watchful concerning passing judgement! It is indescribable how fearful this matter is! “Judge not, that ye be not judged.” Do we safeguard this saying? Even if we don’t have virtues, Christ will save us, He will take us into Paradise if we abstain from judging. I will tell you something else, again from experience. Once a sister* in the world wanted to say something about me that didn’t happen to me; it was slander. For the glory of Christ I tell you this. Was it a temptation that put her up to it? Was it from hatred? Was it from jealousy that she did it? In any case, I said many, many prayers for her, I mean many prayers. I cried neither for my father, nor for my mother as much as I cried for this sister. With much pain I cried and I said: “My God, save me, help me, give me strength.” The prophet David said: “Deliver me from the slander of men and I will keep thy commandments” (Ps. 119: 134). I felt a great deal of pain inside. “Yes, I am tired of lifting this weight!” she said. It was a stone like the porters used to carry on their backs a long time ago. “The Queen wants me?” I asked. I made the sign of the cross and I got into the vehicle. We proceeded to a beautiful turnpike. I saw a church in front of us – it was like looking at the church of Panagia in Tinos – such a nice church, it was bright, resplendent! I made the sign of the cross as I passed by. Across the way, toward the east, was what seemed to be a palace. The door to the palace was huge, just as doors are in large buildings. There in the middle of the doorway was the Queen, who, from her neck up I couldn’t see on account of the light of her face, because she was shining so brightly. I saw her resplendent sandals; she wore a feloni** and vest, each had two inches of piping embroidered around them. Two lines were configured in front of her: one line with children who were wearing lace and ribbon in their hair, dressed just as the angels are, while the other line seemed to be composed of widows***, as though they were nuns, wearing monastic clothing, just like we wear. I paused for a moment to see where they were chanting “This is the day of the Resurrection”. And I saw that inside the palace a banquet was laid out with very beautiful white tablecloths. What could you desire that the banquet didn’t have! I lingered to listen and the maid took me by the hand and said, “That is for the martyrs, those who endured great temptations” and she gave me to understand that patience is needed. Afterward she took me to the royal garden, and I saw a vast place which had something like lilies, the brown lily had a cross. Just as the wind blew, so the lilies swayed. A vast place: green, beautiful, enchanted! Within this beautiful exhalation which I found myself, the sorrow in my soul fled, and pleasantness and joy came! In the morning I went and found this sister who had slandered me, and hugged and kissed her. I didn’t know what to do for her; I didn’t know how to thank her for the false words she had said, I really didn’t know. This experience stayed in my soul and from that time I have kept the commandment of God: judge not, so as not to be judged – even if I see the act committed in front of me, whatever I happen to see in front of me. That which I saw in the vision stirred me and left me such comfort. I forgot everything. A purity entered into my nous, a passionlessness, a peacefulness, a heavenly thing entered my soul and I didn’t know how to thank that sister who was the cause of such good. And I say what a good thing it is for someone to be patient! For this reason the Queen said, “Come martyrs of Christ, come great-martyrs of Christ, enter into the platform…” How can I have the boldness to touch such a banquet? It was the banquet for the martyrs who had struggled, who had endured martyrdom and for whom God had prepared greatness! *Although Gerontissa calls this woman “sister” it seems that she was a laywoman. **A feloni (φελόνι) is a chasuble, which in its origin was a traveling garment in the late Roman Empire. It is like a poncho, a circular garment with a hole in the middle for the head. ***It is a tradition in Greece for widows to wear black headscarfs and dress. ****Gerontissa Macrina’s name before monastic tonsure was Maria. The twelve Apostles! These are the twelve foundation stones upon which the Church is built, while Christ himself is the cornerstone; these are the twelve trumpets whose sound goes out to the ends of the earth; these are the twelve stars which illumine the spiritual sky of the Church! I am not here today to show the spiritual film of the lives of the Holy Apostles, but rather I will have to be satisfied with providing a general picture of their work and making a few observations. The life of the Apostles is divided into two periods: the period before they met Christ and the period following their meeting with him. The day of that meeting was a moment of great change in their lives. Indeed, whoever has met Christ and has repented of his sins has lived this experience; his life too is divided into two epochs, one dark and one light. Do you see your life as being divided in this way? Have you marked that day when you cut your life in two with a knife? Before the day they met Christ, the Apostles lived a quiet life. Have you been to the islands? Have you seen how the fishermen live? This is roughly how the Apostles lived. They went out fishing at night and when they returned in the morning they sold the fish they had caught; this is how they earned their bread. And, most of them being married, they knew the joy of being the head of a family, of seeing their wives and children gathered around their table. They did not live their whole lives like this, however. They did not die at home with their families, but instead they abandoned quietude, entered into the great battle, and finished their lives in prison. Why? Why such a change in their lives? How could they leave their homes and get caught up in such an affair? What drew them into this? It is an easy thing for a man to leave his wife, his children, his home and go roaming far away? What was it that changed everything? What happened? Something happened that human words cannot describe! One day they were throwing out their nets and there appeared before them on the seashore someone unknown to them, someone who today continues to be the Great Unknown! Who is this ‘unknown’? Let us bear his name! Let us go to church and light candles to him! He is unknown. He is Christ! If you ask a thousand people, only one will know Christ. Why? Because if you were to open the hearts of men you will find only three loves: the love of money, the love of pleasure, and the love of glory. If we were to open the hearts of the Apostles however, we would find no such loves. Within them a great fire was lit, a divine fire, a heavenly fire which is called the love of Christ. And what was Christ’s commandment to them? What did he say that caused them to change? “Follow me”! And from that time forward they followed him and their life changed. It is as if I can now see before me these men whose feet we are not worthy to kiss. They are preparing to leave behind their nets, houses, their weeping wives, their homeland, their world. There, as they are about to start out, I approach them and ask, “Who has caused you to get up and go? Where are you going?” And they all answer with one accord, “We are going to subject the world to Christ!” “Who are you to undertake such a thing?” I ask, “And by what power will you accomplish this? Where is your money, your knowledge, your weapons?” “We have none,” they answer. “Our only weapon is our faith in Christ.” And off they go. Blessed is that moment when they set out on the path of the Gospel, flying from hill to hill to preach Christ! In order that you might understand what a difficult thing it was that they did, I will give you an analogy. Imagine that you took twelve sheep and threw them into a pen full of hungry wolves. Would there be anything left of them? Christ told them, “Behold, I send you out as sheep in the midst of wolves.” The Pharisees, the emperors, the officers, the philosophers – all wolves! But now, what do see? What do I hear? The sheep have defeated the wolves! And not only did they defeat them, but they turned the wolves into lambs! They made the wild holy, and the idolaters Christians! How did this happen? If you read the scriptures, you will find a prophesy which says, “The wolf also shall dwell with the lamb.” This has come to fruition through the Holy Apostles. They have made the wolves into sheep, taming them and making them part of Christ’s flock, too. A pious emperor, seeking to honor their memory, built the famous Church of the Holy Apostles in Constantinople and ordered that the manner of death of each be inscribed on a marble plaque so that the whole city might remember and honor them. The Apostles did not die in their homes with their wives by their side; rather, they died scattered at the ends of the earth. They died for us; they are the world’s greatest benefactors. On that plaque is written the following: first, Peter was beheaded at Rome; second, Andrew was crucified on Patra; third, John the Evangelist, the beloved disciple, died in exile on Patmos; fourth, James was beheaded like a lamb in Jerusalem; fifth, Bartholomew was martyred in India; sixth, Thomas was run through with spears in India, and so on until the thirteenth, Paul, was beheaded in a Roman prison. Never has the world owed so much to so few! Roughly how many people have come to church today? Maybe a little more, maybe a little less than two hundred? There were only twelve Apostles and they changed the world! What might two-hundred Christians accomplish! I am not saying that you should do what they did, that you should go to far-off Africa, Asia, India, or somewhere else. Let us instead become little apostles. Somewhere nearby there are people who are waiting. There are the poor who do not have bread to eat, there are the sick who are looking for a visit, there are heretics who are suffering in their delusion, there are sinners who have not confessed in decades. What are these waiting for? They are waiting for us! Let us run to them! Assembled here today we are two hundred. Do you want to honor the Apostles? I put on my stole and give you a kanona: you will go to Hell if you do not lead one soul to Christ. Who will be that soul that you bring close to him? Try to free one soul from the nets of the devil this year. A Christian who does not benefit others, who does not bring others close to Christ, is no Christian! Amen. From the book Εμπνευσμένα Κηρύγματα Ορθοδόξου Ομολογίας και Αγιοπατερικής Πνοής (Orthodoxos Kypseli: Thessaloniki, 2011), 41-45. Translated by Rev Dr John Palmer. Abbess Thaisia of Leushino: An Autobiography of a Spiritual Daughter of St. John of Kronstadt: How could I read anything written by this uncanonized saint and not absolutely love it, especially her own autobiography? I first read this while Fr. John and I spent four weeks at a women’s monastery in Canada one summer. Reading it again brought back a lot of good memories; it was also really nice to become reacquainted with the incredible person of Abbess Thaisia in such intimate detail. Instructions for the Immortal: Or, What to do if You Still Die by Fr. Daniel Sysoev: Readers of this blog know how much I love and admire Fr. Daniel. This book, with its witty title, is wonderful. It’s very small, almost like a long pamphlet but bound like a tiny hard-cover book. And yet, Fr. Daniel manages to go into detail concerning death, life after death, and the aerial toll-houses. The topic of aerial toll-houses is often labeled “controversial” but anyone who reads the Fathers of the Church know they are an accurate image of a spiritual reality experienced by all who have and will repose. Homilies on the Book of Revelation (Vol. 1) by Archimandrite Athanasius: I only have a few more pages to go in this book and I have high praise for it. It is jam-packed with information. It not only offers incredible insight into the Book of the Revelation, but gives detailed accounts of the geographical and social histories of the seven churches to whom Christ has St. John the Theologian address an epistle. Translated by Costas Zalalas, this book should be read by all Orthodox Christians, not merely those who are inclined toward reading commentaries on Scripture. It is very informative and yet also manages to challenge the reader to become a more authentic Christian. Letters to Spiritual Children by Abbott Nikon: The small size of this book is deceiving for great spiritual grandeur is contained within its few pages. I literally have nearly as many sticky notes attached to the pages as it has paragraphs. The book is a composition of the elder’s letters to his spiritual children. Reading it gives you the impression that he has condensed into these select letters all that is necessary for an Orthodox Christian to find and remain on the straight and narrow path that leads to life. If you only read one book from this list, let it be this one. But, please don’t just read it, struggle to put the Abbot’s words into practice! Our Thoughts Determine Our Lives by Elder Thaddeus: Elder Thaddeus’ well known work is a joy to read. This text is very applicable to modern man: it both admonishes and inspires the reader to lead a proper Christian life. Having lived and reposed in our times, Elder Thaddeus shares wonderful personal insight, insight into his own character and development. This allows the reader to not only learn more about this holy person but to see his own character and development in light of the elder’s inspired words. The Art of Salvation by Archimandrite Ephraim: This is an English translation of a collection of 33 homilies by Elder Ephraim of Arizona. Every homily is rich in wisdom and yet the spiritual depth of each is conveyed in a simple and applicable way. Although likely delivered to his monastic brotherhoods, I believe there is not one sentence in the book that does not apply to the modern layman who wishes to also taste of God’s grace and goodness. The Life of the Virgin Mary by St. Maximos the Confessor: Fr. John gave this book to me Christmas, 2014. I read it just before Christmas 2015 and loved it. The information is predominately drawn from the Proto-evangelium, the same primary source the book The Life of the Theotokos – published by Holy Apostle’s Convent – draws from. 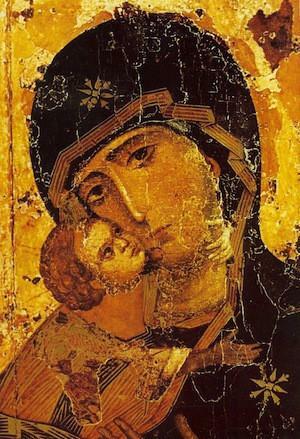 While much of what it contains was not something unfamiliar to me as I’ve read The Life of the Theotokos, it was very beautiful to read St. Maximos the Confessor’s description of the events and person of the Most Holy Lady, the Theotokos. It’s a more condensed version of her life and I highly recommend it. We can never read enough insights into this all-holy person who was made worthy to contain the Uncontainable God in her holy womb. Shepherd of Souls: Life and Teachings of Elder Cleopa: I bought this book while in Boston, MA at Holy Apostle’s Bulgarian Orthodox Church during a retreat I was invited to speak at. I started reading it while waiting for my plane back to Newfoundland and finished it rather quickly. I was incredibly impressed by the person of Elder Cleopa. In particular I found the description of his childhood and his early inclination toward asceticism very beautiful. I loved this book and already feel like re-reading it. For years I have read with great pleasure the works of the ever-memorable Metropolitan of Florina Augustinos (Kantiotes) and have drawn enormous benefit from them. In fact, since my ordination to the holy priesthood, hardly a week passes when I do not consult his books when preparing for my Sunday homily. Moreover, while reading Greek editions of his writings, I have often found material so spiritually helpful that my conscience has compelled me to render an English translation for circulation among the faithful in my parish. Even before my ordination, however, while I was yet a doctoral student in Thessaloniki, Metropolitan Augoustinos’ writings greatly impacted me. Not a single text left me indifferent: each and every time I read something His Eminence wrote, I felt moved to labour more diligently in the vineyard of my own soul in order to draw closer to Christ. His simple manner, born of great spiritual depth; his unswerving adherence to, and unflinching belief in the tradition of the Holy Orthodox Church; his bold and fearless proclamation that all that matters in this life is that we keep Christ and our soul. These qualities drew me towards this great personality of the modern Church. The pull was so strong, in fact, that I remember deciding in the Spring of 2010 that I needed to make a pilgrimage to Florina and take the blessing of the then-aged Metropolitan. When I returned to Greece following summer vacation in late August, however, I was greeted with the news that His Eminence had just reposed and was thus deprived the opportunity for a personal meeting. Metropolitan Augoustinos N. Kantiotes: A Short Biography has proved a great consolation in the face of this missed opportunity, allowing me – and all who read it – an important and intimate encounter with this pillar of the modern Church. As one might expect from a biography, Metropolitan Augoustinos N. Kantiotes generally follows the course of His Eminence’s life chronologically. The first section, covering from his birth on the island of Paros in 1907 up to the end of his theological studies in 1929, offers a valuable example of the importance of surrounding children with good spiritual influences, proving that pious parents and teachers, an experienced spiritual father, and exposure to the monastic life, are instrumental in the formation of future saints. After charting the course of his studies, and demonstrating himself to be more than capable in academic spheres, the book arrives at the beginning of his public life following his monastic tonsure and ordination by the Metropolitan of Aitolia in 1935. This first period of public ministry (1935-1967) was deeply impacted by the German and Italian occupations of Greece during the Second World War, as well as the Greek Civil War. The out-spoken Fr Augustinos, who refused to tolerate any encroachment on Church’s spiritual life or injustice, was seldom able to remain anywhere for very long, passing from Aitolia to Ioninna, to Macedonia, to Kozani, to Gravenna, and finally to Athens where he remained for roughly fifteen years between 1951 to 1967. He undertook similar work in each of these places: he published soul-profiting periodicals and catechetical materials to be distributed free of charge, he untook Modern Greek translations of the writings of the Holy Fathers and articles promoting the teachings of the Philokalia (something the biography’s author rightly points out was rare at the time, this treasure having largely been forgotten outside of monasteries). He also established soup kitchens, orphanages, and boarding houses, he promoted confession and repentance, and he preached tirelessly, “…with admonitions and censuring evil” (p.31). This practice often endangered his very life when his voice turned against secular forces, but Fr Augustinos faced such threats bravely and as a true Christian. Characteristic is his response to the future Metropolitan of Nafpaktos upon being informed that the latter had uncovered and negotiated the cancellation of a German order for his execution: “My life is not worth a penny…Let me die serving and defending our martyric and completely abandoned nation. If I don’t see you again, farewell unto eternity!” (p.44). He proved equally firm and fearless with regard to unfitting practices within the Church. He once resigned from his position as secretary in a Metropolis because the bishop tried a priest on the testimony of one sole witness, rather than on the testimony of three as is required by the Scriptures and the Holy Canons. In post-war Athens, “His voice [continued to be] that of the healthy conscience of the Church which he objectively raised against kings, patriarchs, hierarchs, monks, political figures, clergy, and laity, often incurring the wrath of the corrupt and the powerful” (p.74). There are a number of stories highlighting this last point recounted in the book but here I will mention only one which is particularly indicative of the sharpness of his Christian conscience. When beauty pageants were first introduced in Greece, “…and became a lure to relinquish the virtue of modesty in young Greek men and women, while everyone else remained silent on the subject, Fr Augustinos wrote a whole article in Christianike Spitha. This was followed by protests that were organized by religious associations as well as people in positions of power; rallies; all-night prayer vigils; night processions. The Holy Synod of the Church of Greece condemned beauty pageants. Hierarchs personally supported Fr Augustinos. The conscience of the people rejected the pageants. The newspapers who organized the events withdrew, one after the other. The participation of young Greek women in these events decreased dramatically…This protest [initiated by Fr Augustinos] was characterized by one of the biggest newspapers in America as, ‘the most unique reaction in the whole world against profligate beauty pageants'” (p. 69-70). Sadly we in our age look upon things a thousand times more corrupting than these pageants in our use of television and the internet and yet we manage to silence our consciences and remain unbothered: not Fr Augustinos! Not only did he avoid such things himself, but he laboured to preserve countless others from this spiritual pitfall at the risk of exposing himself to the criticism of the world. Moving on from this Metropolitan Augoustinos N. Kantiotes next details Fr Augustinos’ election to the Metropolitan See of Florina in 1967 and the years of his episcopal ministry. Greatly valuable here is the book’s reproduction of a significant section of the homily he preached at his enthronement. Although at the time this homily represented a presentation of ideals and aspirations, in retrospect it paints an exact picture of all that he did during his years as Metropolitan. There is perhaps no better testimony to His Eminence’s spiritual character: what he said, he did with God’s help. Here the book breaks slightly from chronological order, dealing with his particular accomplishments one at a time. No summary can do these accomplishments justice; here I will simply mention the most notable. His episcopacy was marked by the building of monasteries, churches, orphanages, nursing homes, boarding houses, and the erection of crosses. He was also deeply concerned with the cultivation of priestly vocations and their proper training: when he inherited the widowed Metropolis it had 140 parishes and only 50 priests; by the time of his retirement he had ordained 184 candidates to the priesthood, most of who passed through ecclesiastical schools he himself had founded. He openly and boldly taught against the use of birth control, opposed abortion, and rightly denied sacraments to those who were not married in the Orthodox Church but were illicitly cohabitating. He was again a tireless teacher, preaching 5,629 homilies which furnished a large portion of the contents of his 82 published books. He opposed the political regime fearlessly whenever it impeded the spiritual life of the Church and Christians. His concern that the word of truth be rightly divided, that the Orthodox Faith be proclaimed without adulteration, and thus that the faithful be not mislead and fall away from Christ, was further manifested when he took a stand against Athenagoras of Constantinople for his uncanonical statements and actions within the context of the Ecumenical ‘dialogue’ with the Roman Catholics. 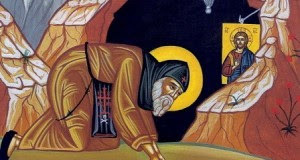 Along with Metropolitan Amvrosios of Eleutheropolis, Metropolitan Paul of Paramythia, and the fathers of the Holy Mountain, Metropolitan Augustinos canonically ceased commemoration of Athenagoras, invoking the 15th Canon of the 1st-2nd Council which states: “As for those persons who on account of some heresy condemned by holy Councils, or Fathers, withdrawing themselves from communion with their president, who, that is to say, is preaching the heresy publicly, and teaching it barehead in church, such persons not only are not subject to any canonical penalty on account of their having walled themselves off from any and all communion with the one called a Bishop before any conciliar or synodal verdict has been rendered, but, on the contrary, they shall be deemed worthy to enjoy the honor which befits them among Orthodox Christians. For they have defied, not Bishops, but pseudo-bishops and pseudo-teachers; and they have not sundered the union of the Church with any schism, but, on the contrary, have been sedulous to rescue the Church from schisms and divisions.” God alone knows how many souls he saved by openly demonstrating his disapproval of the Patriarch’s activities. Three brief sections follow and are devoted to the outcome of his labours, a brief account of the persecutions he suffered gladly for Christ’s sake, and to his co-struggles who laboured with him in Christ’s vineyard. The final section deals with his life after his resignation, tendered to the Holy Synod in September 1999 and accepted as of January 2000 when he was an astonishing 93 years old. In retirement, Metropolitan Augustinos continued to labour until he suffered a stroke and reposed in August 2010, “…after hundreds, if not thousands, of admirers and spiritual children came from all over Greece to receive their final blessing from him, ask for forgiveness, and say goodbye” (p.147). As should be easily ascertainable from the brief summary of the work above, Metropolitan Augoustinos N. Kantiotes is extremely didactic, though unobtrusively so. His Eminence’s life is presented in a way that lessons for modern Orthodox Christians are easily drawn – for example, how children ought to be raised, the importance of and the spiritual pitfalls associated with education, the fearlessness with which we ought to stand before the forces of secularity both within and outside of the Church, and so on – but not in such a manner that feels like the author is editorializing. Also notable is the fact that large sections of the text are taken directly from Metropolitan Augustinos’ own writings, giving the book a sort of autobiographical flavour and adding spiritual depth. One notable instance of this occurs early in the book when discussing the success he enjoyed throughout his education and the spiritual problems this caused him early in life: “These highest honors that I continued to receive, from my early years of elementary education up until I finished college, harmed me spiritually,” he writes. “I confess it publically. Some sort of conceit possessed me because of my theological knowledge. And God humbled me for my arrogance” (p.26). The book is full of such edifying, self-reflective looks into His Eminence’s inner spiritual life which betray his spiritual sensitivity. It bears mentioning that Metropolitan Augoustinos N. Kantiotes is a translation of a Greek work bearing the same title. Unfortunately, a number of treasures of Greek Orthodox literature have been poorly translated in recent times and as a consequence these important works have so far failed to mark English-speaking Orthodox culture as deeply as they perhaps should have. Happily no such problem exists here: Alexander Filip has rendered a smooth translation which reads easily and enjoyably. Turning attention to the physical aspects of the book, the reader will find himself greeted with a nice, roughly 150-page volume, well-bound, with glossy pages – important since the book is filled with beautiful photographs of His Eminence and those persons referred to throughout the course of the narration. My only complaint – if it can be called that! – is that the cover is a little plain by North American standards. Given the value of the book, I would suggest a more eye-catching cover for the second edition. In conclusion, I cannot recommend Metropolitan Augoustinos N. Kantiotes: A Short Biography highly enough. We live in an age – and sadly within an ecclesiastical environment – permeated by luke-warmness. Far too often we let ourselves get drug along with those trends which prevail in our culture and run contrary to the Gospel of our Lord when we should be rebelling against them by word and by our manner of life so as to become leaven for the world around us. Far too often we show ourselves indifferent towards the faith, ignoring violations of the spirit-inspired traditions of Orthodoxy simply because it may result in drawing the ire of some of those around us; by doing this we leave our brethren within the Church prey to the noetic wolf. Far too often we take the easy route in our own spiritual lives, avoiding the narrow path of the Gospel. An age like ours stands in dire need of a reminder of the Apostolic zeal characteristic of true Christians: such a reminder is Metropolitan Augustinos. May we have his blessing!